Here find the list of Bird Sanctuary in Karnataka with detail information. 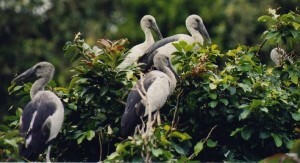 The Kaggaladu Bird Sanctuary is the second largest painted storks sanctuary in South Asia. Famous for the Bar Headed Goose, the Magadi Bird Sanctuay is a place that’s built on the Magadi Tank, near Gadag.